With a $2 million reward on his head, James “Whitey” Bulger was the most-wanted fugitive in America for sixteen years when he was captured by the FBI in June 2011. Two years later, this Boston organized-crime boss went on trial in his hometown. 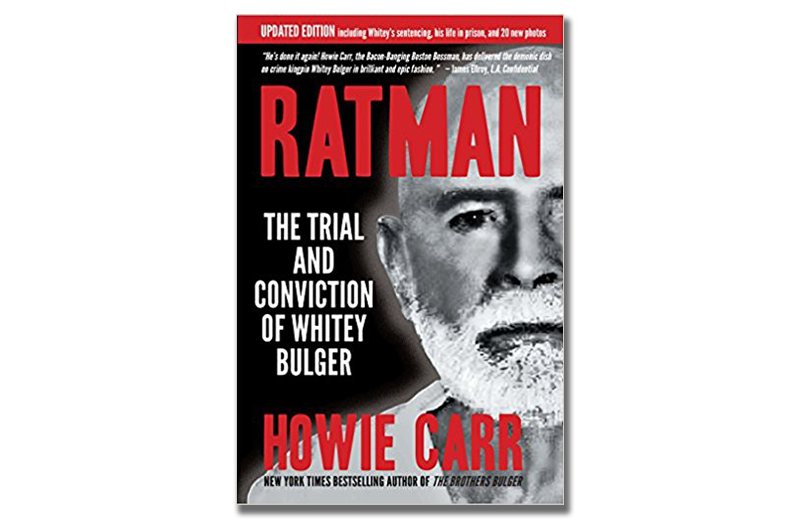 In his latest book, Ratman: The Trial and Conviction of Whitey Bulger, New York Times bestselling author Howie Carr chronicles the trial of this notorious mob boss, who was charged with nineteen murders. Carr also shares accounts of a uniquely personal nature, including testimony from one of Bulger’s hit men, who Whitey ordered to kill Carr in the driveway of his home. Despite Bulger’s attempts to keep this Boston Herald columnist and radio talk-show host out of the courtroom by listing him as a defense witness, the judge allowed Carr to cover the trial, putting readers in the front row at one of the most entrancing murder trials in recent history.